The tour starts from Bharat Bhoomi Tourist Complex Shail Vihar Rishikesh at 06:30 AM and have a stop over at Kaudiyala TRH for tea / breakfast. By noon 01:00 the bus will reach at Rudrapryag for lunch break and to visit the Confluence view of Alaknanda and Mandakini / Photography. Hereby the trip starts for joshimath to have night halt and dinner. After Having Tea / morning breakfast the tour starts for Badrinath going through the one way traffic. 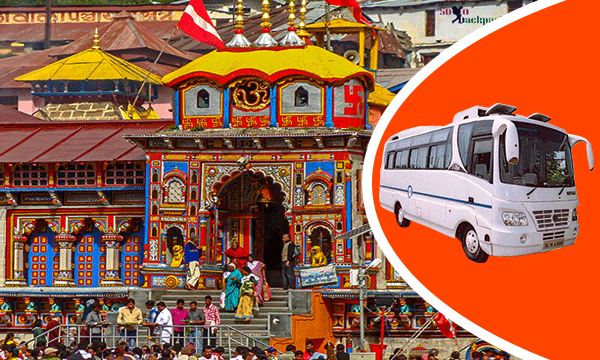 After pooja, darshan there will be visit to Village Mana, and the night stay and dinner will be at Badrinath Dham. After pooja / darshan the tour comes to halt at Joshimath by noon for lunch. After lunch one can visit Auli by Cable car on Payment Basis and come back to Joshiumath to move for Pipalkoti for Dinner and night halt.